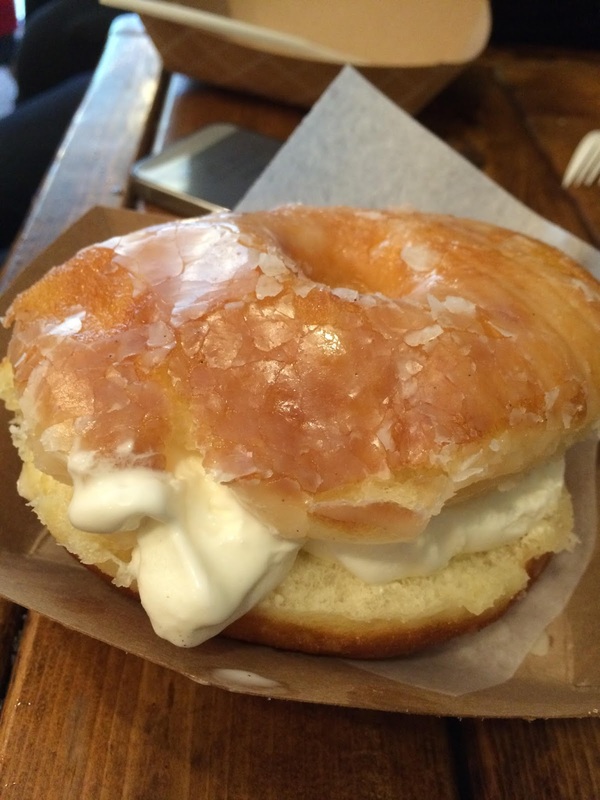 Bakerbots may have the best ice cream sandwich using homemade cookies but Glory Hole Doughnuts is taking the summertime treat to a whole new level. The Parkdale shop takes one of their vanilla glazed doughnuts, cuts it in half and fills it with vanilla soft serve. So much soft serve things get a bit messy, but in a good way...a really good way.